The political fireworks that accompanied lawmakers’ 2011 fight over women’s health care and abortion has been replaced with some semblance of concession, as legislators work quietly to restore financing. The political fireworks and high-octane drama that accompanied lawmakers’ 2011 fight over women’s health care and abortion has been absent this legislative session. It has been replaced with some semblance of concession, as legislators on both sides of the aisle work quietly to restore financing for women’s health services. They have done it with little more than a handshake agreement. Democrats will not die on the sword of bringing Planned Parenthood back into the fold, and Republicans will not put up additional barriers to women’s access to care. “The major difference is we’re not fighting about it, we’re just doing what’s right for women and the state,” state Rep. Sarah Davis, R-West University Place, said last month at a Texas Tribune symposium on health care. There has not been a drawn-out public debate on abortion or women’s health in either chamber this legislative session. None of the 24 abortion-related bills filed have reached the House or Senate floor. And Davis, the only Republican member of the House Women’s Health Caucus, brokered a bipartisan “grand bargain,” as lawmakers refer to it, to prevent amendments to the House budget bill that could have jeopardized an agreement to restore women’s health dollars. For some Republicans, this bargain hinged on the ballot box: Davis said several of her colleagues faced blistering attacks after last session’s family planning cuts — an effort, in part, to drive Planned Parenthood out of business — shuttered clinics in their districts that were not affiliated with abortion providers. Bolstered by the Tea Party’s gains in the state’s 2010 elections, last session’s ultra-conservative Legislature approved a law requiring women seeking an abortion to get a sonogram and hear a description of the fetus at least 24 hours ahead of the procedure. In a targeted effort to exclude Planned Parenthood and other clinics affiliated with abortion providers from taxpayer-financed programs, lawmakers also cut the state’s family planning budget by two-thirds. As a direct result, 117 Texas family planning clinics stopped receiving state financing and 56 of those clinics closed, according to researchers at the University of Texas at Austin who are conducting a three-year study to evaluate the Legislature’s policy changes. The researchers estimate that 144,000 fewer women received health services and 30,000 fewer unintended pregnancies were averted in 2012 than in 2010. 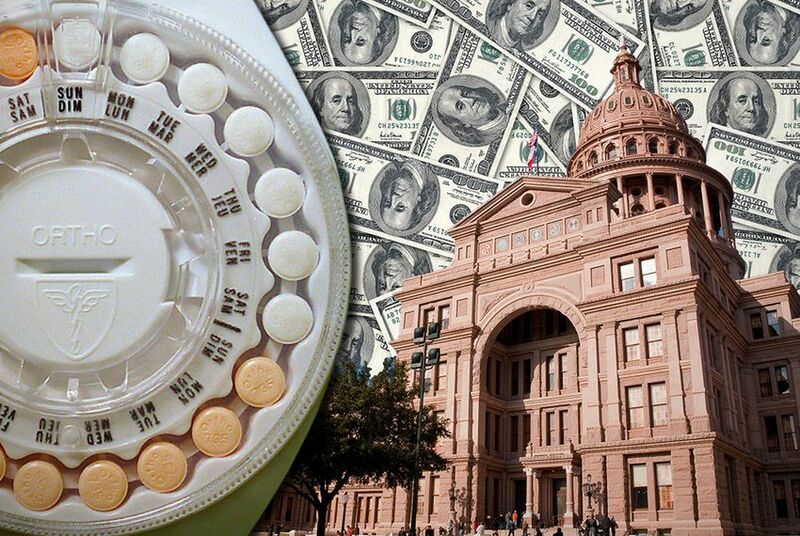 The state’s savings from the family planning program dropped by an estimated $163 million. “A lot of people really felt they got snookered by some of the people in the pro-life movement about that family planning issue,” said state Sen. Bob Deuell, R-Greenville, who has been a strong advocate for restoring family planning financing for low-income women by way of primary care. Deuell, a primary care physician, is an ardent opponent of state money going to Planned Parenthood clinics. But he said the vitriol of some abortion opponents last session prevented the state from pursuing good policy decisions. He recalled being compared to Margaret Sanger, the founder of Planned Parenthood, when he argued that cutting family planning services would lead to more unwanted pregnancies, and therefore more abortions and children living in poverty. In the tentative 2014-15 state budget, which is being hashed out in conference committee, lawmakers have devoted more financing for women’s health services than before the 2011 budget cuts. The House version of the budget doubled financing for family planning services to $75 million, while the Senate version increases financing to $43 million. Both chambers have added $100 million to a state-run primary care program to serve women of all ages and set aside $71 million to support the Texas Women’s Health Program, formerly the Medicaid Women’s Health Program, which lost a $9-to-$1 federal match over state leaders’ decision to eject Planned Parenthood clinics from it. Legislative budget writers earmarked the money under strict rules that none of it could go to health providers that are affiliated with abortion clinics. Abortion providers are already excluded from state health programs, but abortion opponents argue that state dollars that went to affiliates of abortion providers — such as Planned Parenthood clinics that only provide family planning services — indirectly support abortion. The federal government has responded in part to the state’s efforts to exclude certain providers by granting the Women’s Health and Family Planning Association of Texas — not the usual recipient, the Texas Department of State Health Services — $6 million in so-called Title X family planning dollars to distribute in the second half of fiscal year 2012. Fran Hagerty, the association’s chief executive, said the financing gives providers a range of benefits, like the ability to offer confidential services for teens and to provide patients discounts on contraception. Only two Planned Parenthood clinics have asked for and received a portion of the Title X financing, she said. “These funding sources are meant to work together to support these providers,” Hagerty said, adding that she hopes to work with the state to rebuild the state’s network of family planning providers. There are already plans to reopen some shuttered clinics, she said, like a family planning provider in Bell County that closed because of the state’s cuts after 42 years of operation. With the family planning financing nearly settled — depending on negotiations in conference committee — the last lingering battlefield is abortion. Gov. Rick Perry has thrown his political weight behind a bill that would prohibit abortions after 20 weeks. Current law bans abortions in the third trimester, except in cases of medical emergency. Abortion opponents believe fetuses can feel pain at 20 weeks of gestation because they reflexively respond to stimuli, but there is no scientific consensus. A 2o05 study published in the Journal of the American Medical Association found it is unlikely that fetuses feel pain before the third trimester. A House committee approved the bill on Friday. Deuell has written a bill to tighten restrictions on facilities that provide abortions, saying lawmakers “can do things to improve the quality and safety of abortions.” Only five of the state’s 42 existing abortion facilities would meet the bill’s standards. Abortion rights advocates counter that existing regulations are sufficient, and that the added precautions would ultimately endanger women by limiting legal access to the procedure. The bill is currently stalled in the Senate.